The Salvation Army has long maintained the role of working with the most vulnerable in our community. Our services include support in the areas of food, clothing, furniture, rent & energy assistance, recovery support (grief, mental illness, cancer support), counselling, youth programs & camps, adult & seniors groups, pastoral support, emergency disaster support, and more. Our Community and Family Services supports the ability of people to empower themselves at all stages of life to break the cycle of poverty and reduce isolation. Emergency food and clothing, a listening ear, community referrals, advocacy, other tangible and spiritual support is provided for those in crisis. It is our desire to give hope and encouragement to all who come to us for assistance. On the first visit, clients are asked to complete an application and provide identification (two pieces-one being photo I.D.) for all living in the household, proof of all household income and expenses (pay stubs or bank statement etc). Appointments on Mondays or Thursdays, between 9:30-11:15am are available by contacting the office at 905-895-6276. Our recovery & support programs are designed to assist you to develop a healthier lifestyle. Support groups meet weekly and for periods of 8 to 13 weeks or more. Contact us if you are interested in registering for our next meeting or have any questions/comments. A support group and class-based program for people struggling with issues of anger. Please click on the title for a link to the program's brochure. A peer support group that shares knowledge, resources and information in a supportive, confidential environment to help alleviate & overcome the symptoms of your mood disorder. Meets weekly. Please click on the title for a link to the program's brochure. Similar to the adult Emotional Rescue group, we have a peer support group for TEENS that shares knowledge, resources and information in a supportive, confidential environment to help alleviate & overcome the symptoms of your mood disorder. The GriefShare program is a Biblically-based, Christ-centered healing ministry running every Monday night at Northridge. It is a seminar & support group assisting people struggling with the death of someone close. Connect with others who are interested in learning more about natural strategies that help to heal strong and stay strong. We cover topics on diet, detoxification, supplementation, emotional health and well-being. Meetings are every 2nd Monday each month at 7:00pm. Please click on the title for a link to the program's brochure. For more information, please visit www.healingstrong.org. Recovering Couples Anonymous is a Twelve-Step fellowship founded in 1988. Our primary purpose is to stay committed in loving and intimate relationships and to help other couples achieve freedom from addicted and destructive relationships. By using the tools of the program, we take individual responsibility for the well-being of our relationship, build new intimacy, and find joy with each other. This is a form of "Marriage Maintenance" that encourages and supports healthy interactions on this coupleship journey. For more information, please visit www.recovering-couples.org. 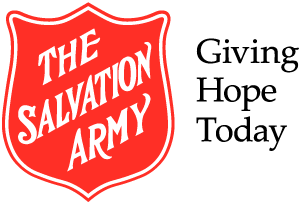 The Homelessness Prevention Program is administered by The Salvation Army and funded by The Regional Municipality of York and the Government of Ontario. Homelessness Prevention Program provides financial and support services to York Region residents who are homeless or at risk of homelessness. People who are behind on rental, mortgage or utility payments may get support from the Homelessness Prevention Program. To apply, please contact York Region’s Access York contact centre. Hours of operation: Monday to Friday: 8:30 a.m. to 4:30 p.m.
You may qualify for a monthly credit directly on your electricity bill depending on household income and how many people live in your home. Please visit OntarioElectricitySupport.ca or call us at 905-895-6276 to speak with an agency representative. If you’re behind on your electricity or natural gas bill and face having your service disconnected, you may qualify for emergency financial help through the Low-income Energy Assistance Program (LEAP). Click here for more information or call us at 905-895-6276 to speak with an agency representative. Referrals to food banks, employment centres, spiritual support, etc. Sign up with your email address to receive “In The Loop” news & updates.